In the Orthodox Church we preach a faith that tells of a God who came to die for humanity. We preach a God who humbles himself beyond measure. He loves us so much He chooses to die naked on the Cross. Not only that, we also preach Christ resurrected. It is through the resurrection that the tombs are emptied for good. We meditate on the crucifixion, but we live in the Resurrection! 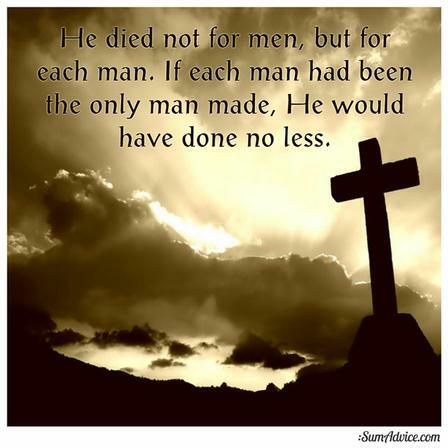 The fact is, Christ had you in mind when He died on the cross. Not an idea of you. Not the abstract, I'm going save humanity, whoever those people are. He had you on His mind and in His heart. He knows you. He tells the prophet Jeremiah, "Before I formed you in the womb I knew you" (Jeremiah 1:5) and that's true for you too. God loves you and wants to work with you through your struggles. Take His hand and let Him pull you out of hell. That's what He came to do. B. In the Fortify Program, Update the battle tracker. Go to week eight and check out "Community and Connectedness" and "Real Connections."